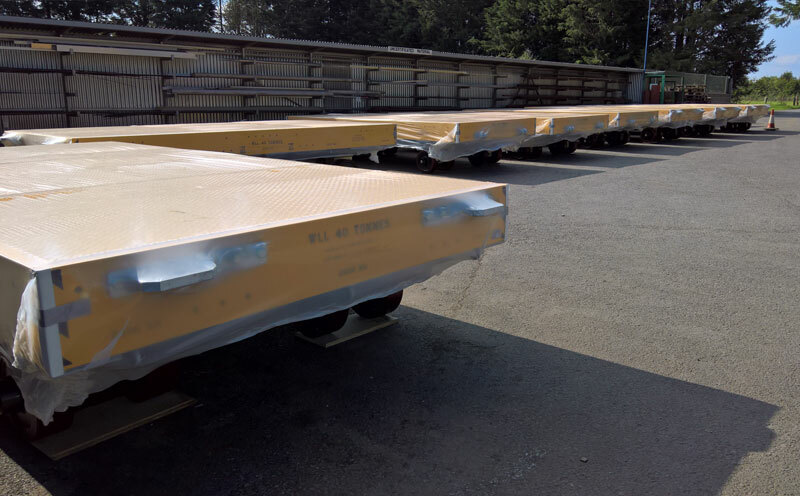 Do you know why there’s been a high demand for Transporter Systems this year? No, nor do we. But whatever’s driving it has demonstrated AMS’s ability to produce and deliver a record-breaking 19 Transporter Systems across 2015/16. It certainly doesn’t appear to reflect a higher number of aircraft requiring recovery than in previous years and while we may never establish what’s behind it, we have been equipped to respond positively and deliver them around the aviation globe. There’s always been a healthy demand for our Transporter Systems and 2016 resulted in the highest number of orders (eleven) we’ve ever received (we’re packaging and distributing the latest as I write this Latest News post). 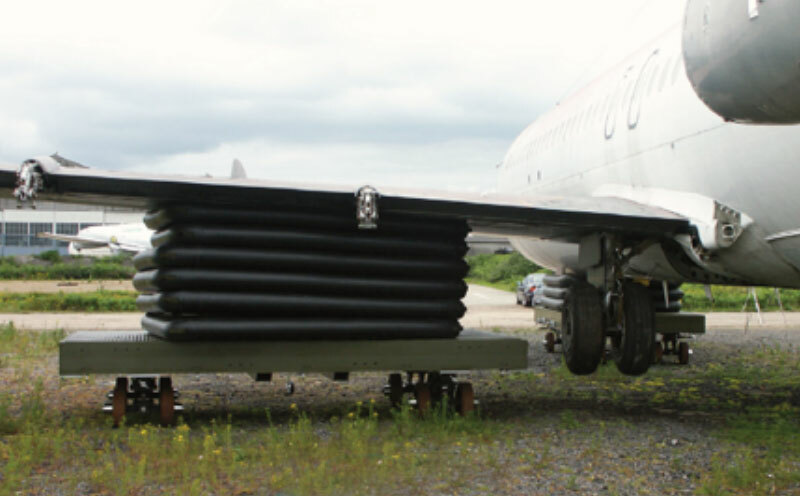 One thing is for sure… the AMS Transporter System offers one of the highest returns on investment currently available in the market, especially when it comes to recovering smaller aircraft. Lifting aircraft is only half the story when it comes to aircraft recovery. Being able to then move the aircraft safely from the runway or taxiway brings new challenges into play, as it’s vital to reduce the potential for secondary damage. 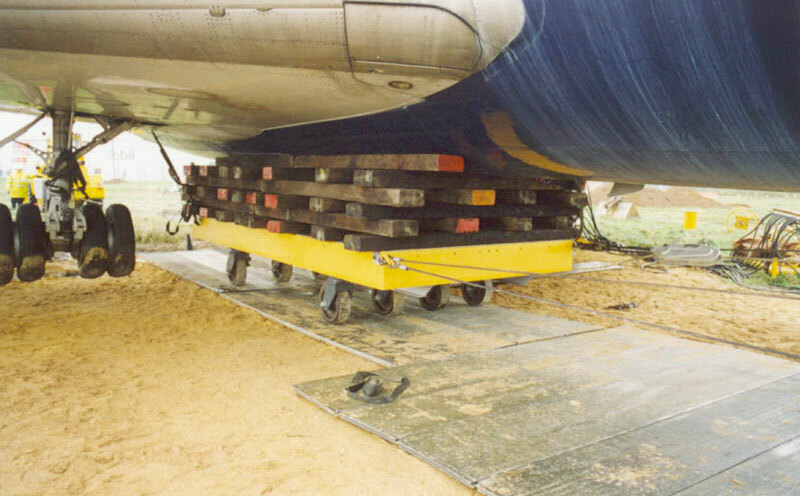 During our 27 year history AMS has developed multiple multi-wheeled transporter systems for use on roads, runways, taxiways, for use with temporary roadways, and, in some cases, for removal of aircraft from overgrown areas off runway (as you can see from the photograph below). 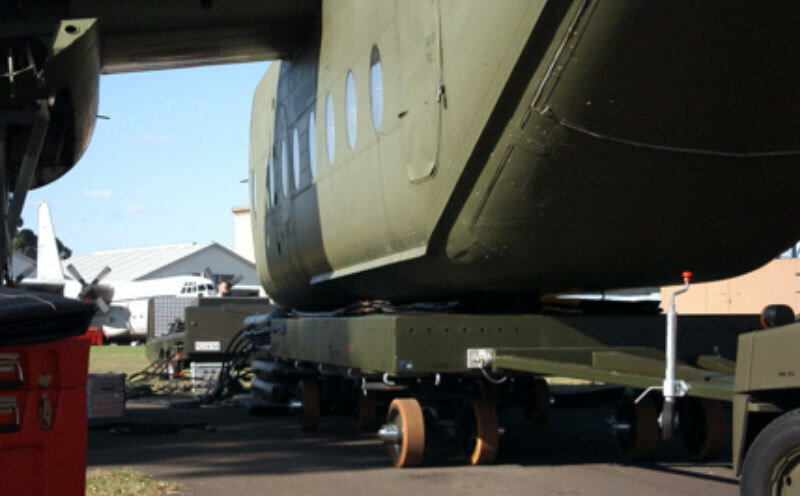 Our modular designs have a 40 tonne capacity and low insertion height, allow for 360 degree rotation and multidirectional positioning under the aircraft, and can be towed from any side (with the direction of tow altered during operation), all of which makes them easy to operate. They can also be used with standard sized airbags as an interface to reduce the potential for secondary damage, and are often used with our range of turntables to maximise the flexibility of movement (especially when an aircraft requires recovery from an area with restrictive workspace). You can view a digital video clip of one of our Transporter Systems by clicking here. For an overview of our Transporter Systems please visit the Aircraft Movement pages on our website here. To obtain our detailed Information Sheet on Transporter Systems please send an email to me: Mark Knight, Director at mark@aircraft-recovery.co.uk. Alternatively, if you have any questions regarding AMS aircraft recovery equipment you can call us on +44 (0)20 3289 9320, or contact us using the form on our website.